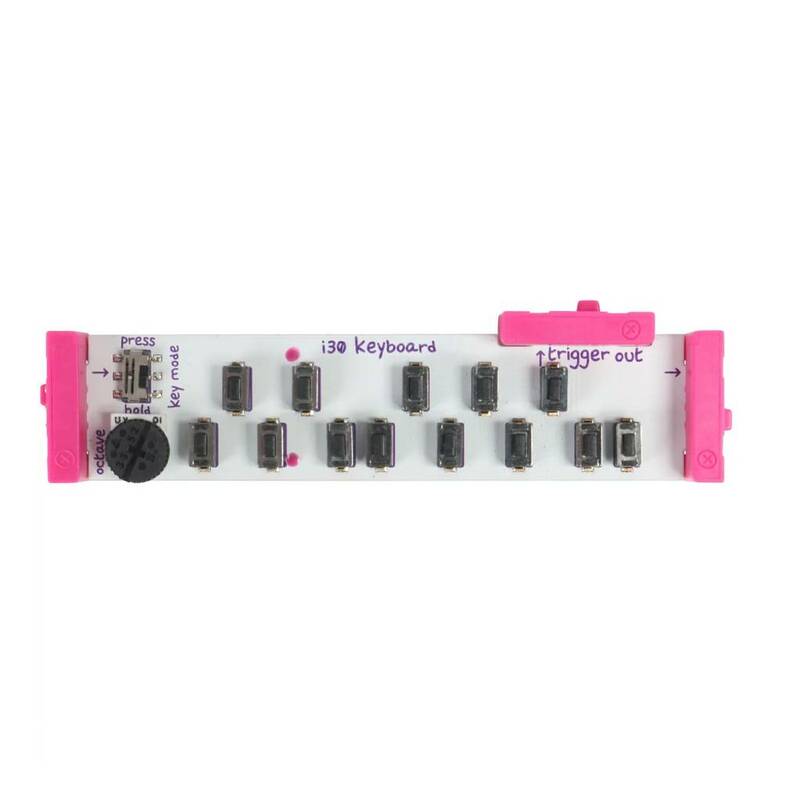 The LittleBits Electronics Synth Kit modulair synthesizer is a kit with twelve modules, that was developed by a collaboration between Korg and LittleBits. 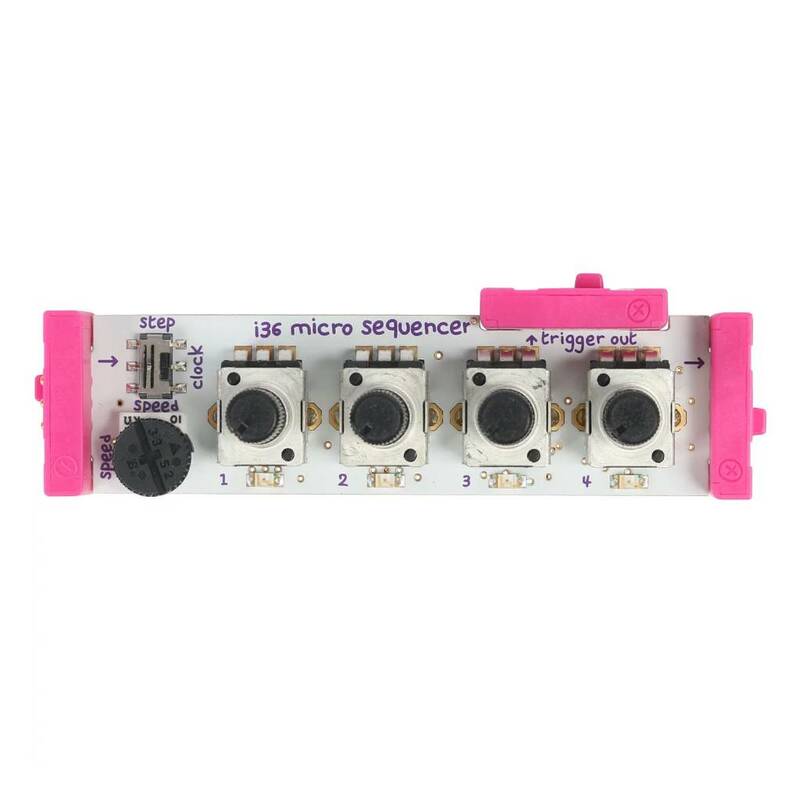 The LittleBits Electronics Synth Kit modulair synthesizer is a kit with twelve modules, that was developed by a collaboration between Korg and LittleBits. 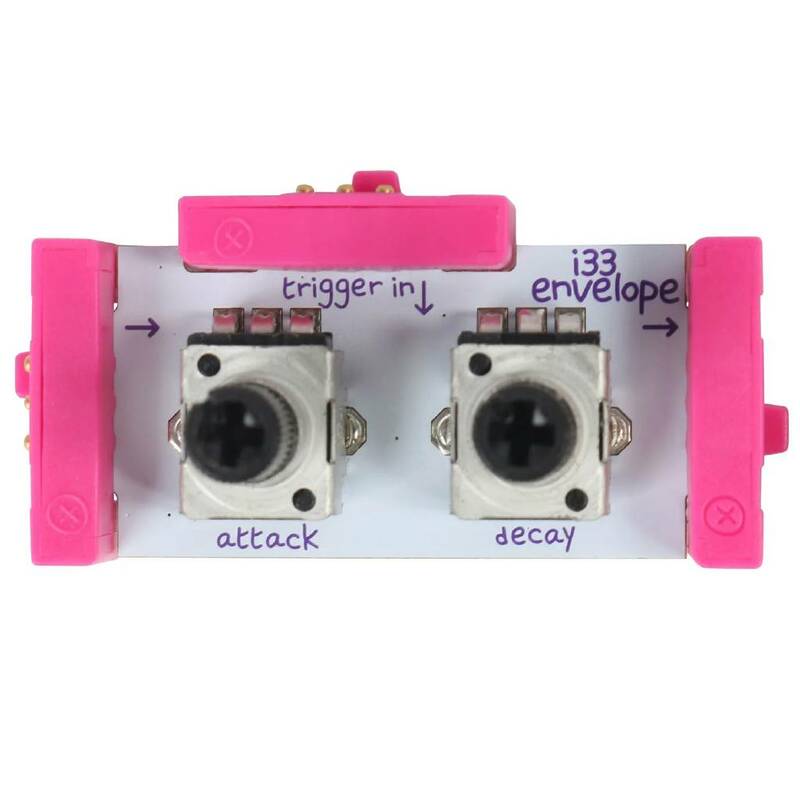 The modules each have their own function and are the typical parts that you can also see in analog synthesizers (envelopes, oscillators etc.). By combining the modules, you can create unique sound-machines. 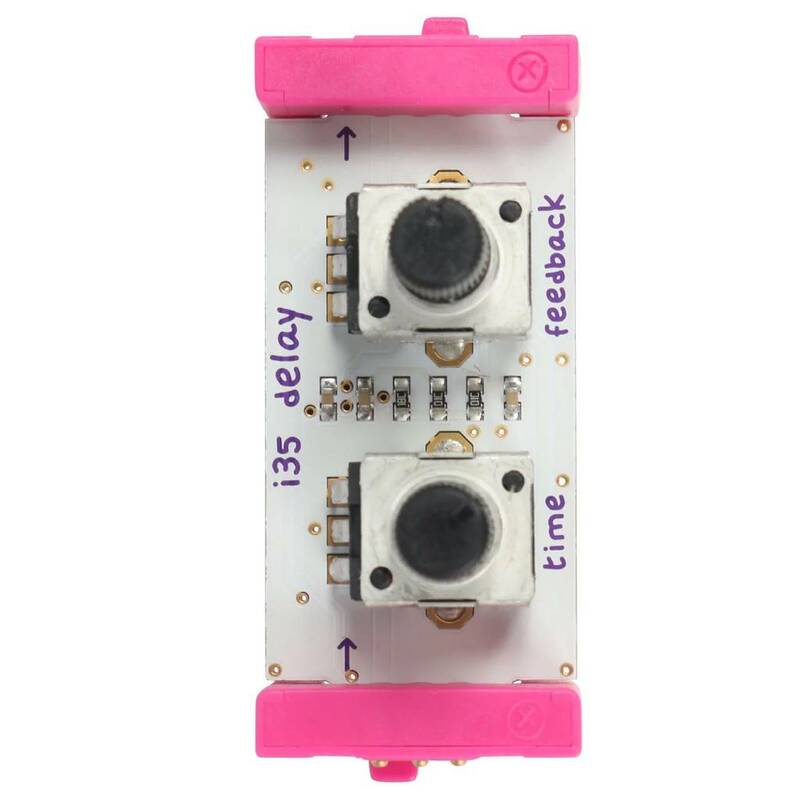 The modules are build in a way that you do not need a lot of technical or musical knowledge to build something fun. The Synth Kit includes an instruction manual for 10 large projects, like a Keytar or a Synth Spin Table. U build unique instruments by combining modules. You don't need a soldering iron for this. 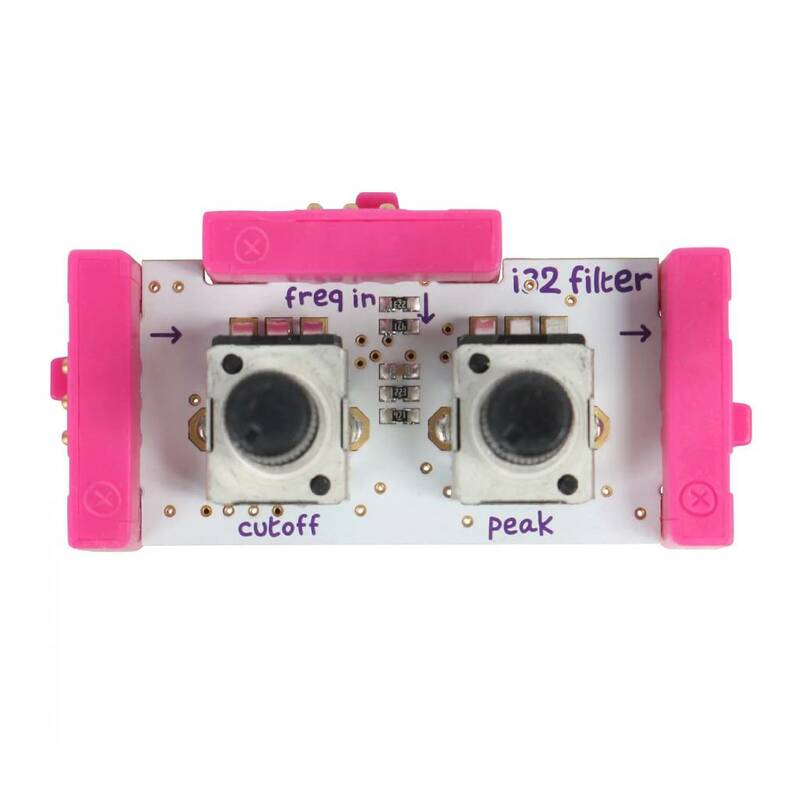 The modules are connected using magnets that are placed on the ends of the modules and are divided in colour codes. After a few clicks is your machine ready to use! 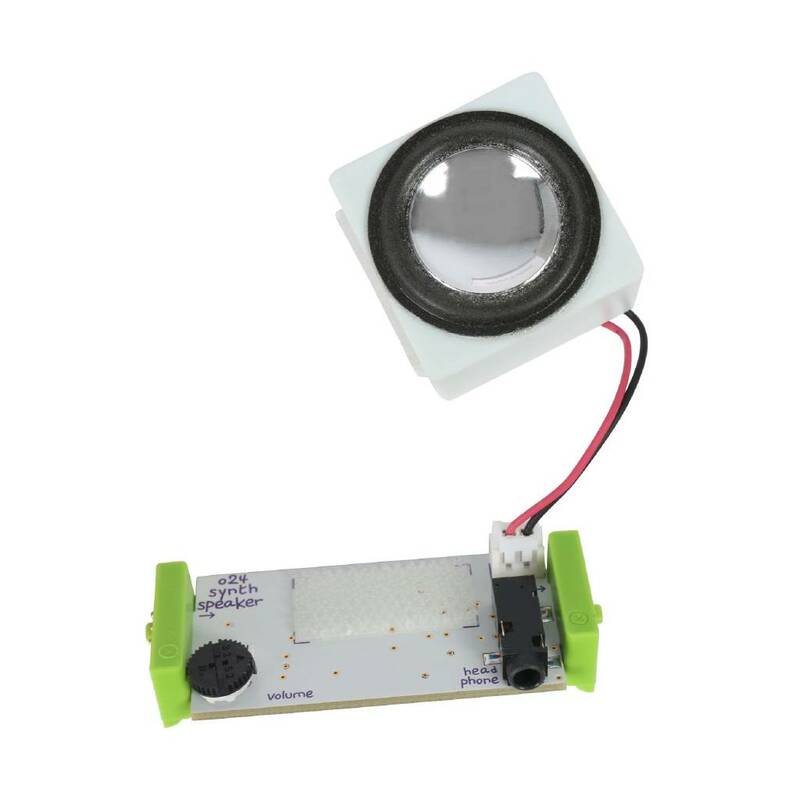 You can hear the produced sound via the speaker on the synth speaker module. 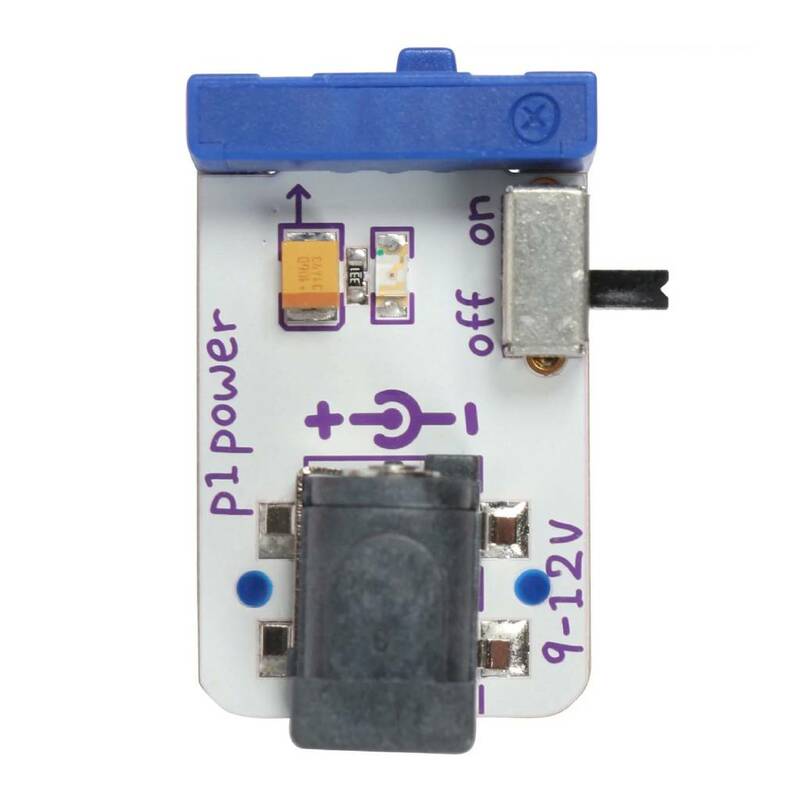 It is also possible to attach a headphone, a mixer, or a soundset on the module via the 3.5mm stereo minijack. The parts from the Synth Kit together form a minimalistic version of the MS-20. The twelve modules offer more than enough possibilities to create a wide range of sounds. From deep basses and percussive tics to fat sweeps, leads and arpeggio's. 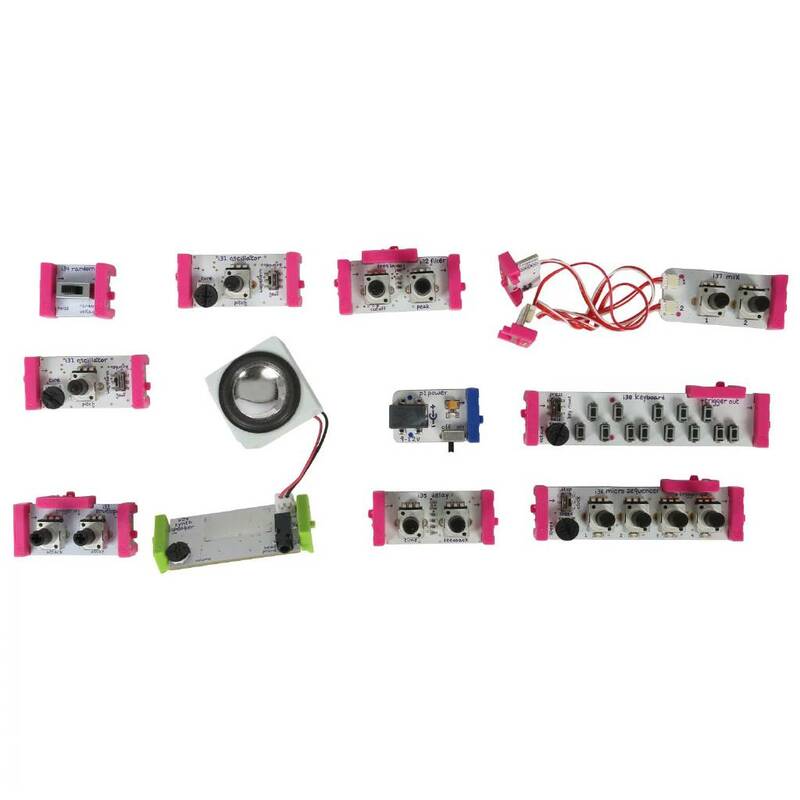 This kit is ideal for teaching sounddesign in music school and training. 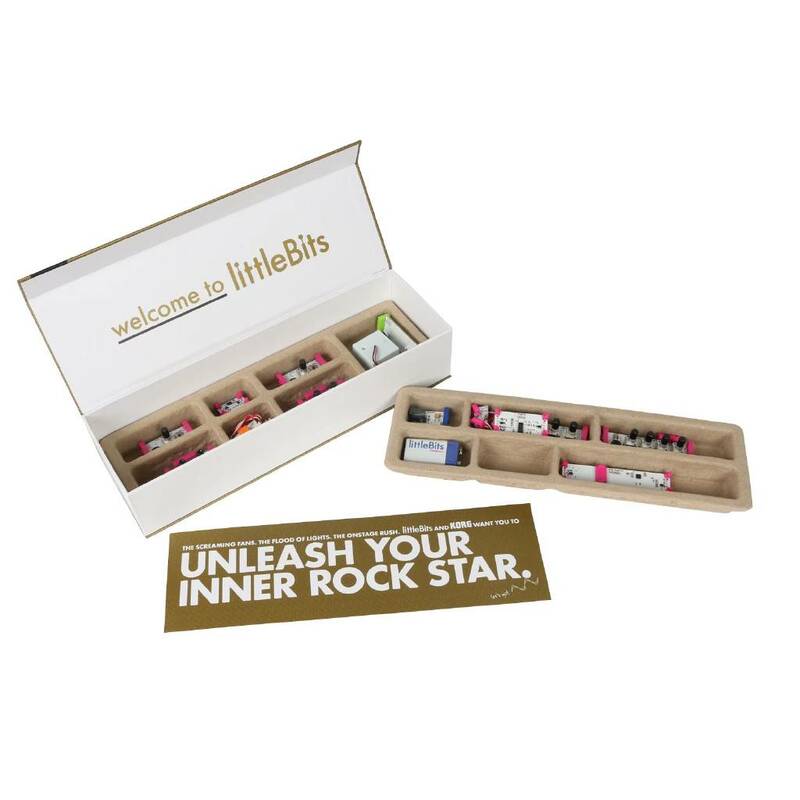 Challenge yourself and create unique instruments using the Korg LittleBits Synth Kit. 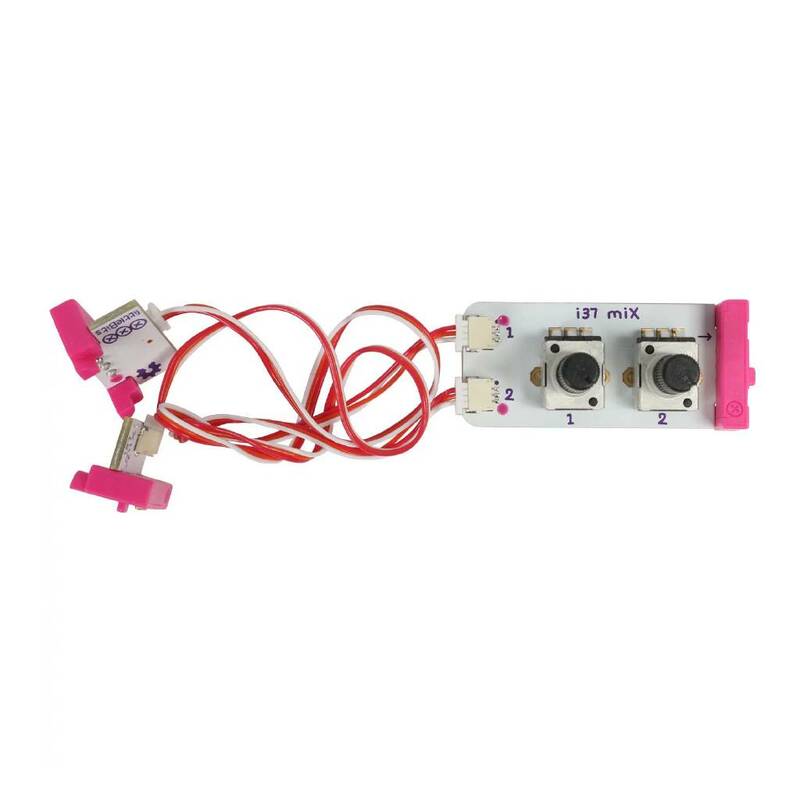 With this kit, you can for example build a Keytar. More information is available on the product pictures, videos and downloads.